If you want to learn the seven strategies of protecting your finances and your family's financial well being in a bad economy then this article is a quick must read. Many of the old rules no longer apply. Is six months of cash enough? I'm a long term investor so I'll just ride this out. How do I save more in case this bad economy continues? If you have asked any of these questions or made any of these statements, you might be headed for real danger. To read the first in a three part series about the new rules of family finances and the hidden dangers in the old assumptions just click here. 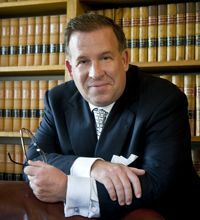 David M Frees III is an attorney representing affluent families, business owners, executives and banks and trust companies in the areas of trust and estate planning, wealth preservation in Pennsylvania and Chester, Montgomery and surrounging Philadelphia counties.